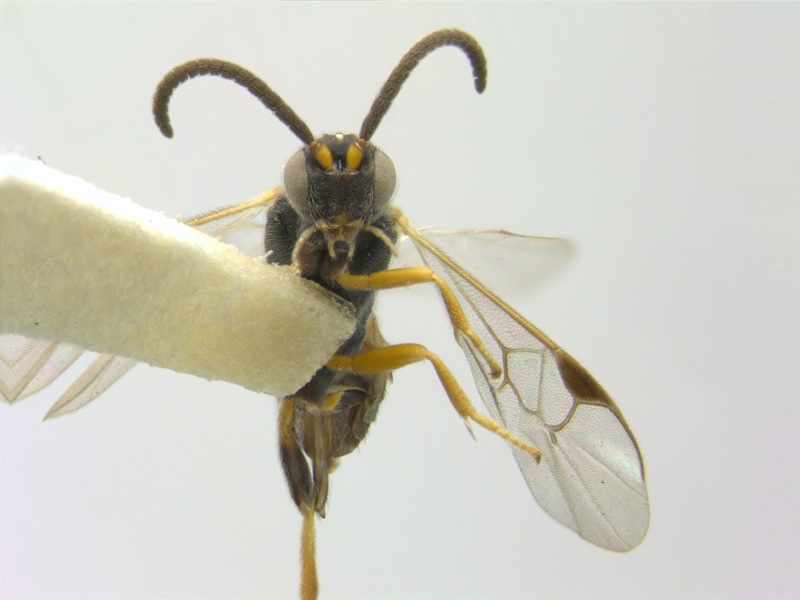 BRACONID WASPS, CATERPILLARS, AND BIOCONTROL: A braconid wasp in the COSEWIC List? The Committee on the Status of Endangered Wildlife in Canada (COSEWIC) exists to provide Canadians and their governments with advice regarding the status of wildlife species that are nationally at risk of extinction or extirpation. Its committee of experts assesses and designates which wildlife species are in some danger of disappearing from the national territory. 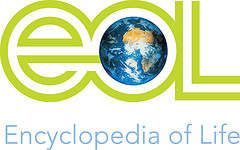 As part of its work, COSEWIC produces a Candidate List of species. I strongly recommend to anyone interested in the protection of the Canadian nature to visit the COSEWIC website, and to support their work and that of similar organizations. [Disclaimer: I do not work for COSEWIC, nor I am involved with their efforts in any capacity]. 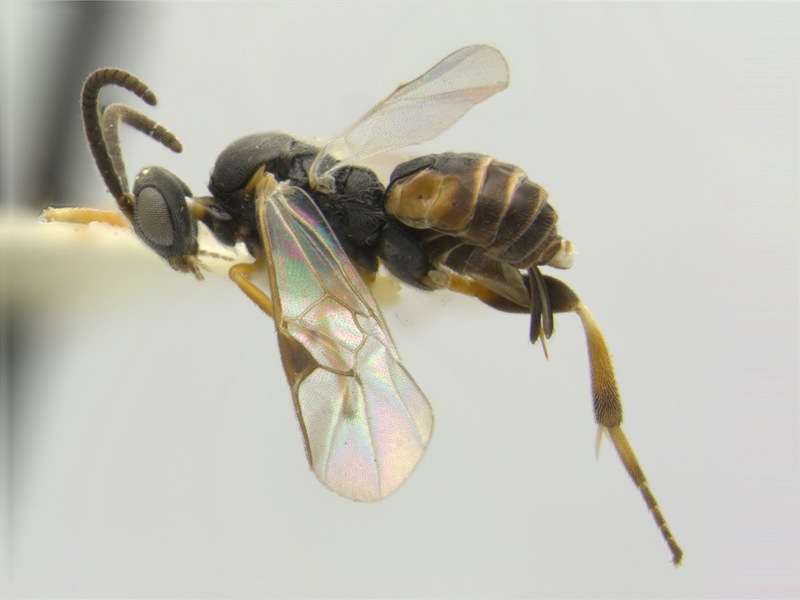 My interest in COSEWIC, and the reason I am writing this post today is to discuss the POSSIBILITY of including a parasitoid Braconidae wasp within their list. Is that a real thing? Or am I just getting too excited with my subject of research? Let's look at the facts and try to be impartial. COSEWIC List includes quite a few arthropods species. Which in itself is something truly amazing, especially in this world that usually focus its conservation efforts in large, charismatic fauna -conservation efforts also prioritize the flora, but I will leave plants out of this comment and will restrict myself to animals for the time being. Small animals, like insects, tend to be almost completely overlooked... unless they are "charismatic" by themselves, e.g. a beautiful butterfly, a conspicuous bumble bee, a colorful ground beetle, a large dragon fly, etc. But a small parasitoid wasp (2.5 mm long)... are you kidding me? Who cares about THAT? Well, as they say "no harm in trying", and I am trying today to present the case for a first parasitoid wasp to be considered by COSEWIC: the microgastrine species Apanteles samarshalli Fernández-Triana, 2010. The species was described very recently, in 2010, from specimens found mostly in southern Florida, United States (Everglades and the Florida Keys). I have also found additional specimens in two countries of Central America (data from unpublished studies). But, the original description also recorded the species from one Canadian locality: Rondeau Provincial Park, in southwestern Ontario. Rondeau truly honours its reputation of having species commonly found at much southern latitudes, because the single specimen collected there (in August of 1973, and deposited in the Canadian National Collection of Insects, Ottawa) happens to be, by far, the northernmost known for the species. Apanteles samarshalli is in itself a very amazing, truly unique and derived species within the large genus Apanteles (which includes over 1,000 described species and many thousand undescribed species). Its morphology is so bizarre that it makes it one of the few species easily distinguishable in North America. And it is also likely to become a new genus on its own in the future -when a more complete phylogenetic study of the Microgastrinae is done. At present nothing is known of its biology (i.e. the caterpillars that it attacks), but we only know that most of the specimens were collected in hammock forests, and most of the known localities share in common the presence of oaks trees (genus Quercus). How A. samarshalli ended up that north here in Canada? We know so few that is impossible to tell for sure. What we do know is that Rondeau is likely to be the only place where the species is found in the country. [Perhaps nearby protected areas, such as Point Pelee National Park and/or Long Point Provincial Park, might have the species as well, but claiming that is a long shot at the moment]. What it is clear is that we need to study more to be able to answer some important questions. 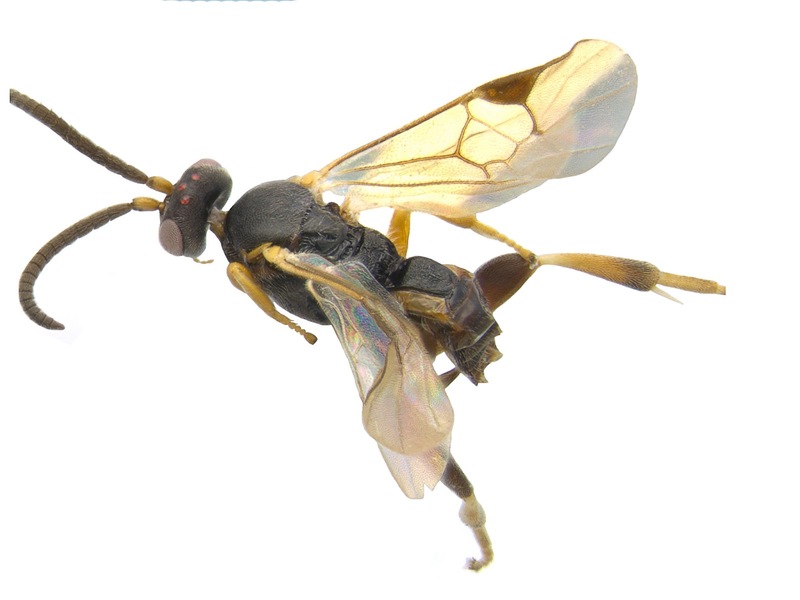 Like, for example, which Lepidoptera species are parasitized by this wasp? Are the wasp and its host caterpillars common or rare? And, after 40 years of having been collected in Rondeau, is the species still around that Park? Back to COSEWIC species list, it works in three sequential steps, the first being identifying candidate wildlife species. They are identified by the Species Specialist Subcommittees, or by the Aboriginal Traditional Knowledge Subcommittee as candidates for detailed status assessment based on information suggesting a potential to be at risk. Candidates may also include wildlife species in the Not at Risk or Data Deficient categories where new information suggests they may be at risk. Here, I am providing some information -which I plan to submit later to COSEWIC for their consideration. At first sight, Apanteles samarshalli seems to merit being studied further. It is a native species, found in only one Canadian locality, at the northern limit of the species distribution. It would be a nice addition to the species dossier of Rondeau Provincial Park. And chances are that it would also be the smallest wasp species to be included in any conservation effort in Canada. Furthermore, and as an added bonus, the species was named after the great Canadian entomologist and photographer Steve Marshall. The species could be the center of a concerted effort of rearing caterpillars, including the support of citizen scientists and persons interested, such as "Friends of Rondeau". A few Malaise or Yellow Pan Traps might also be deployed there to try to collect the wasp. Actually, last year I got the collecting permits to visit Rondeau, but unfortunately could not materialize an intended trip there. Next spring and summer I would love to try again and see if some collecting could be done in the Park and the species can be found after 40 years. [Photos are reproduced from the original description of the species in Zookeys, but they were actually taken by Caroline Boudreault and me in the CNC four years ago].